Five-minute sitcom Ruthie on the Telephone premiered on Sunday, August, 7th, 1949. Initially, the series aired six days a week on CBS from 7:55-8PM (the only night it wasn’t seen was Wednesdays). In October, the Sunday broadcasts were dropped. A total of 73 episodes were broadcast. 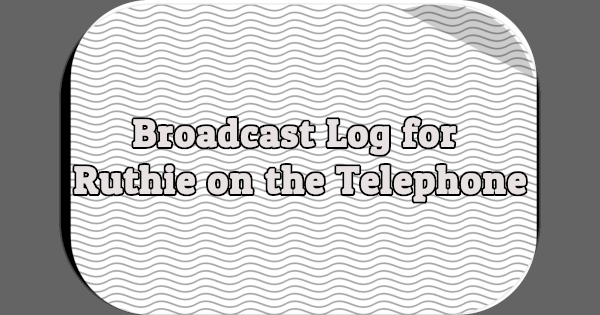 My spotlight on Ruthie on the Telephone can be found here.